This rosewood heart jewelry box is a new twist on a classic design. The interior compartments rotate out from the middle of the box, offering an appealing new way to store your jewelry and keepsakes. 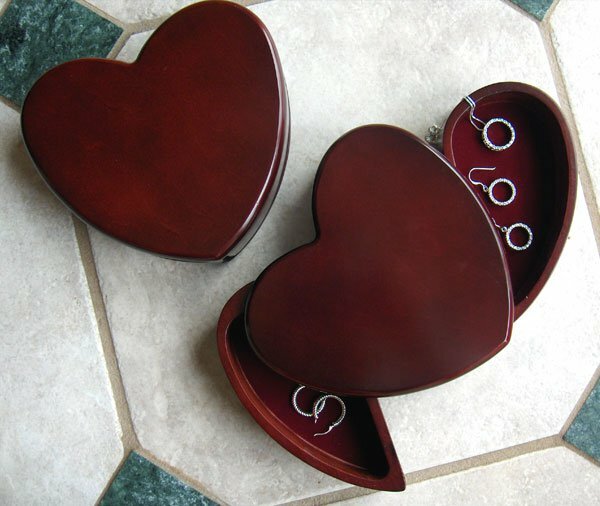 With it's heart shape and rosewood finish, this lovely jewelry box makes a perfect gift for any age. Order this lovely rosewood heart jewelry box engraved for a nominal fee.